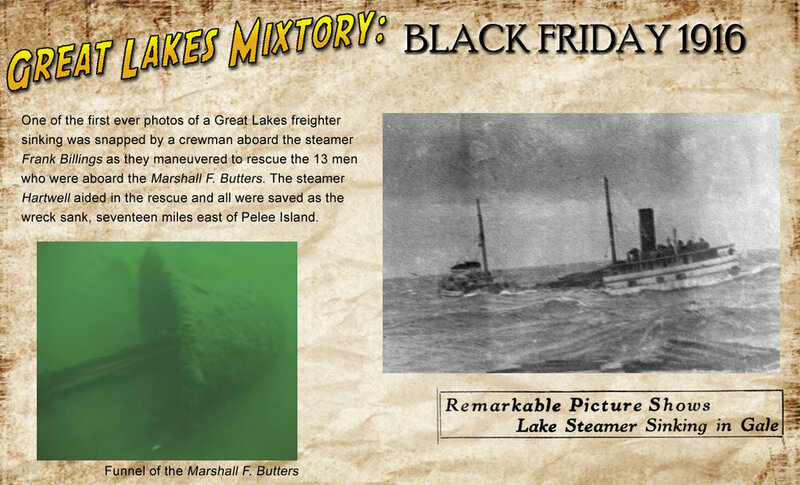 Four ships and 58 sailors were lost when the “Black Friday Storm” hit Lake Erie. Most ironic about this storm was the fact that two captains came ashore as the sole survivors of their crew. 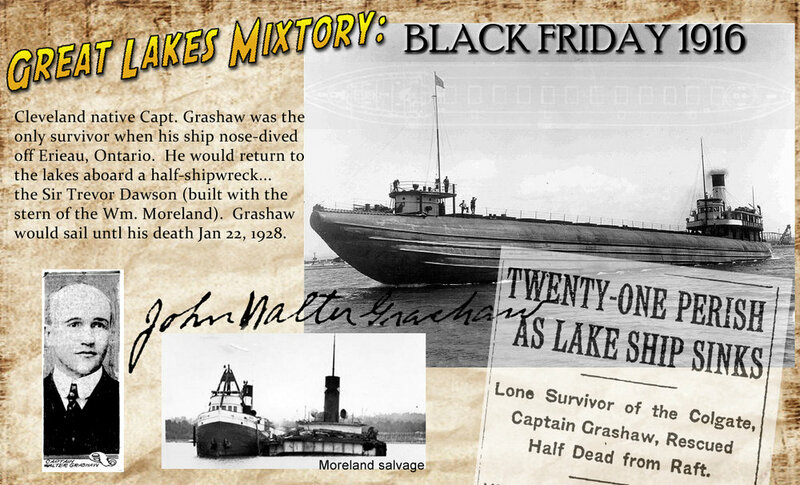 The whaleback freighter James Colgate was lost in Canadian waters and only its skipper Walter Grashaw survived. The DL Filer’s crew found safety in its masts after the ship sank, but only Captain John Mattison remained when rescue came. The crew on the steamer Marshall Butters fared much better. All thirteen were rescued by two nearby freighters as the lumber hauler went down. A photographer on the steamer Frank Billings took photos as the Butters went to the bottom. Halfway down the lake, the steamer Merida vanished with its entire crew. 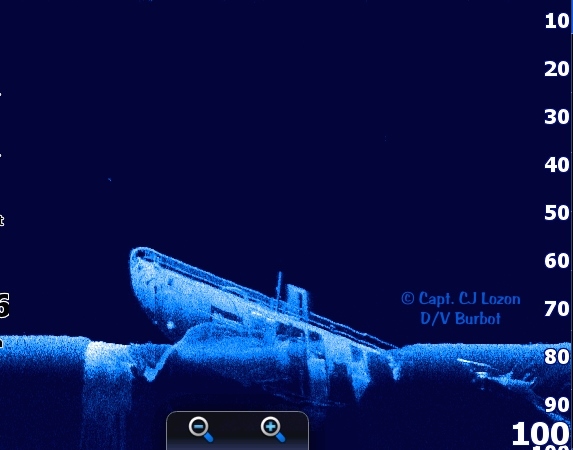 Today divers regularly explore the wrecks of the Butters, Merida and Colgate. The final location of the D.L. Filer is still a mystery.